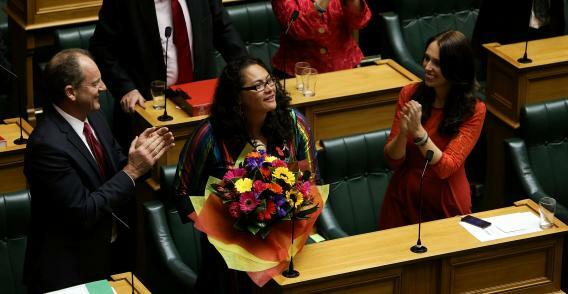 One of the NZ MP’s who co-sponsored the marriage equality bill is congratulated after its approval. On April 17, 2013 the Parliament debated and ultimately approved a bill granting gay and lesbian people the right to marry. In the first video below, MP Maurice Williams eloquently and with humor, responds to social and religious conservatives who predicted that society would self destruct if God didn’t do the job as punishment. In video number 2 below, you will see the speaker of the NZ Parliament announce the results of the vote on marriage equality. Then, spontaneously, the MPs and visitors in the gallery break into a very moving rendition of New Zealand’s favorite love song. I’ve posted an English translation of that beautiful song below the video. Thank you NZ Parliament for helping to move western society one giant step forward in the advancement of civilization.